Traditional banking has taken a beating in recent years, disrupted and modernised by new financial technologies. Fintech startups and challenger banks have been quick to grab new opportunities, ranging from crowdsourced foreign exchange apps through to digital payments and virtual card technology. Banks have been forced to deal with this new competition. But given the rate of change and the speed at which new technologies are emerging, it’s only going to become more challenging. For example, here are five key technologies that are driving change. Banks are under pressure to meet the growing demand for online and mobile banking services, everything from payments through to account checks, upgrades and transfers. Machine learning will be key, thanks to its ability to process large amounts of raw data at incredible speeds, while also analysing that data against sets of pre-determined criteria. According to Accenture, machine learning will impact banks in areas such as credit risk management, risk and finance reporting, trading floors, and of course, security. The latter is an important one. Machine learning platforms can be coded to identify user patterns and detect anomalous network behaviour, something that’s increasingly essential as cyberattacks are often disguised with normal looking data or code. Machine learning can also help with compliance, running automatic tasks that adhere to changing regulatory demands. As with many other industries, we will increasingly see machine learning used to develop more personalised services. As banks digitally transform, they will harvest increasing amounts of customer data that needs to be analysed and actioned. Try doing that with a human. In fact, we humans are becoming less important. According to a report released by Juniper Research, chatbots will be responsible for saving companies $8 billion per year by 2022. While a report released by Gartner suggests that by 2020 consumers will manage 85% of their total business interactions with banks through fintech chatbots. Generally deployed as customer service tools, chatbots are proving popular with millennials, at least according to Chatbot Magazine. They can help answer questions, as well as collect data on user habits and regular issues. Deploying a chatbot should lead to improved (and more personalised) services. Furthermore, chatbots are an entry point to a wider world of AI-driven services, one where machines could automate payments based on card data and manage live transactions. Crucially, they could also determine the eligibility of customers and accounts, authorising transactions and helping business customers manage cards and complex account arrangements. This is the technology that underpins modern cryptocurrencies such as bitcoin. The blockchain combines shared databases and cryptography allowing multiple parties to have simultaneous access to a constantly updated digital ledger that cannot be altered. Blockchain firms raised more than $240m of venture capital money in the first six months of 2017. It gives a clear indication of how the technology is viewed, especially as many banks were major investors. It’s perhaps no surprise that banks are trying to develop their own cryptocurrencies. The market is growing and, according to recent research from the University of Cambridge Judge Business School, user adoption has already taken off. Banks need digital payments expertise. Not only to meet the demands of today’s services, but to build a technology base to cope with challenges lying just around the corner. Technology and new currencies are enabling startups, such as Hazza, to establish unified global payment networks and to consolidate a fragmented industry. Banks need to react, especially in the commercial sector where it can be a case of dictate or die. IDC estimates that the number of devices connected to the internet will surge from 11 billion in 2016 to 80 billion in 2025 and that sort of mass connectivity will have a wide-reaching impact. When combined with AI, this growing Internet of Things (IoT) will demand increased automation of payments and reporting, live actionable data and instant resolutions. Everything from connected cars and office blocks, smart homes and a whole range of services, both in the front line and the supply chain, will deploy a degree of automation because of IoT connectivity. And this will inevitably impact payments. How, for example, will banks manage the demands of this new world of instant and automated access and what impact will it have on commercial customers? A report by Tata Consultancy Services claims that IoT technologies in the banking sector are used mainly to monitor customers, in an effort to understand and engage them better. But this is only the start. This is about having a complete understanding of products and services at any point in time and automating their management and payments. Ultimately, IoT is about intelligence. 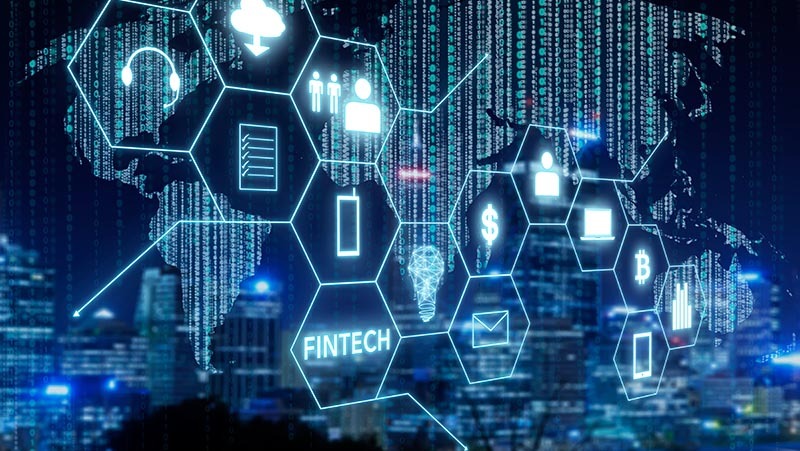 Together, these five technologies are reshaping traditional banking and dragging it into an automated, data-driven, wholly interconnected future. Are you ready for them?